www.audioexcite.com » Blog Archive » Driver Measurement Methods! From now on when I publish loudspeaker driver measurements, I will present it slightly different than before! First of all I will visually present the frequency measurements and impedance differently. 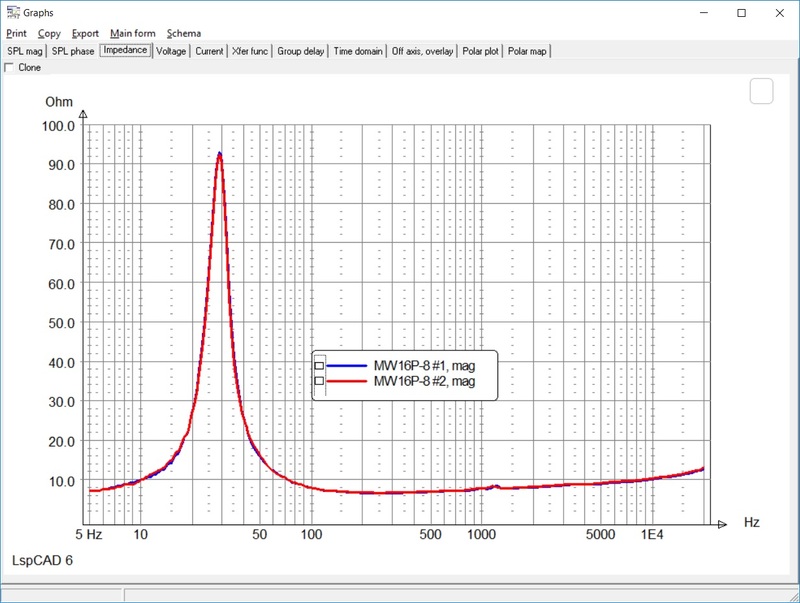 In the past I’ve used screen shots from the Holm Impulse and DATSv2 software, but in the future I will use LspCAD 6 Pro to visually present the frequency graphs. In that way I can e.g. show all measurements between 0 and 60 degrees in one graph. Below is an example how it will look like. 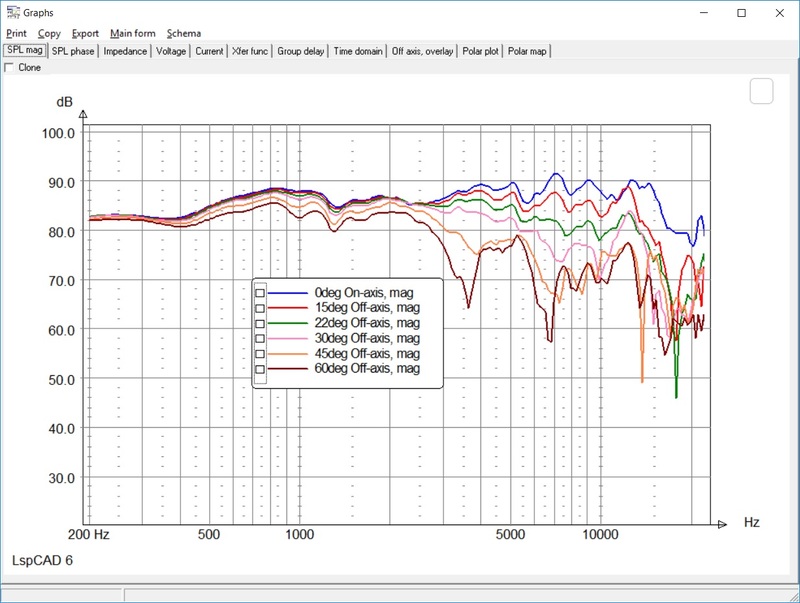 Secondly I will present and measure the Thiele Small measurements slightly different for all mid-woofers and woofers. All drivers will be burnt in for 3 hours at their resonance frequency and slightly below the x-max excursion limit of the driver. After the driver has cooled off, it’s measured in two ways. First the driver will be measured using the “added” mass method in a horizontal position. Secondly the driver is measured using the “known” mass method in a vertical position. In this case the “known” mass is the Manufacturer’s specified Mms of the driver unit. The driver units are always measured in pairs or more and the individual driver samples measurements will be presented as well as the average of the two drivers.